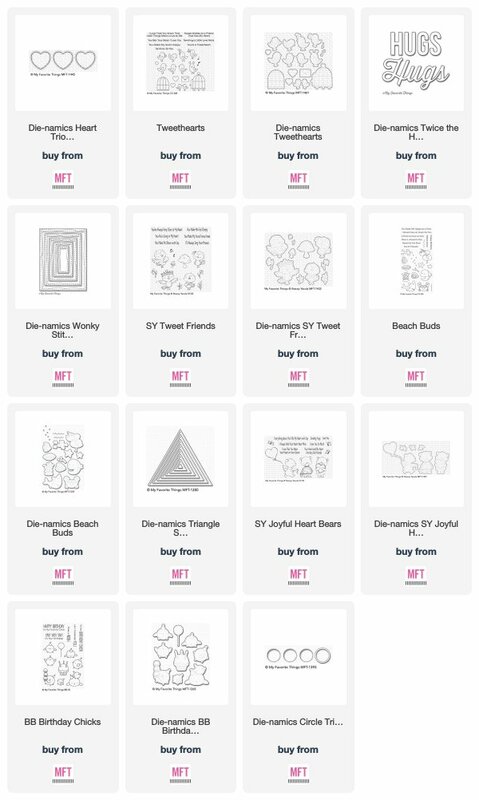 Mindy used the Heart Trio Shaker Window Die-namics to create a colorful window card with coordinating Tweethearts layered over each one. The gold embossed sentiment on the black card stock strip adds great contrast and really helps the colors stand out on the card design. Die cutting a sentiment through a stamped panel is a great way to add interest to a card and keep the focus on the stamped images, while still adding a heartfelt greeting. 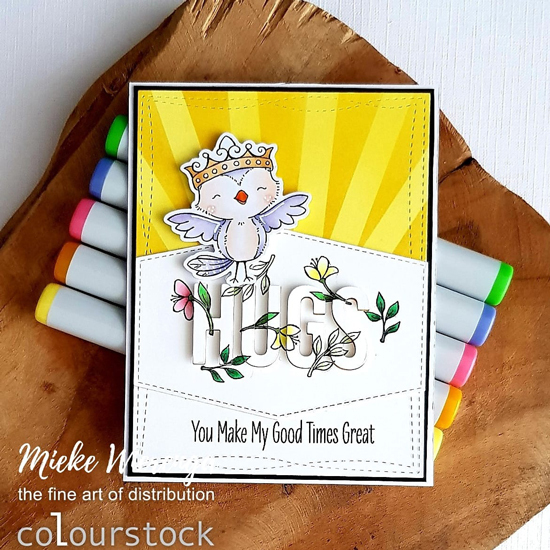 Mieke used the Twice the Hugs die to create a dimensional sentiment and completed her design with an adorable owl image perched on top. Leaving white space on a card adds a clean and simple look that keeps all of the focus on the stamped and die cut images. 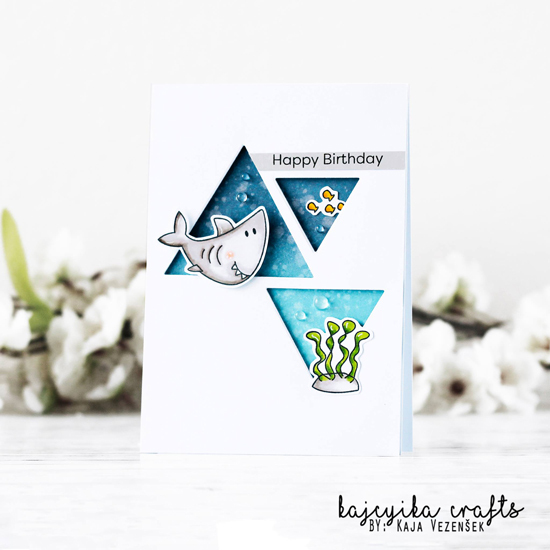 Kaja created a gorgeous layout with a unique triangle window design, that nicely highlights her ocean-themed images. Ankita created an adorable love-themed card featuring the Joyful Heart Bears stamp set and highlighted her scene with a large die cut window. The inked background adds a bright and cheery look to her card with all of the stamped and die cut layers adding detail and dimension. 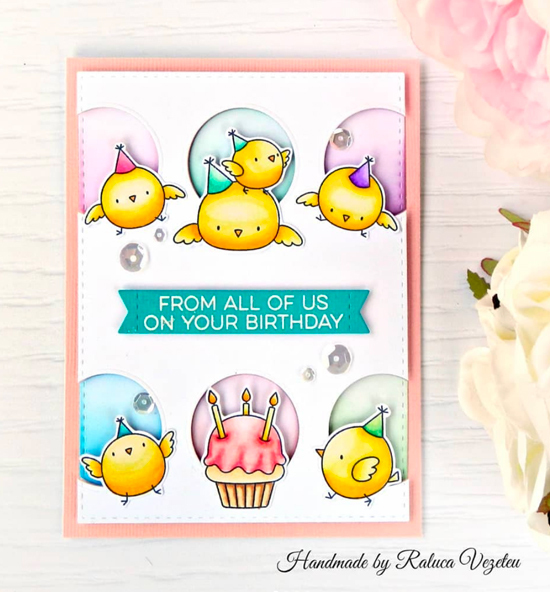 Raluca also featured a trio of windows on her card, opting for a circle design instead of the hearts, to create a colorful backdrop for her cute Birthday Chicks. 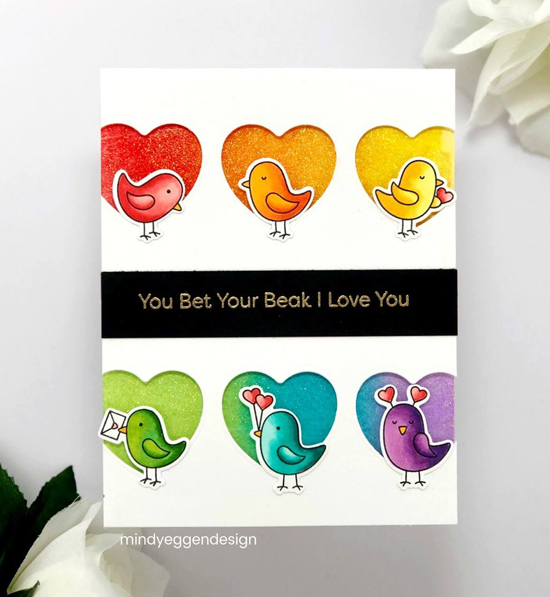 A stamped sentiment strip on bright aqua card stock adds a striking pop of color amongst her images.